The county of Essex has remained popular over the decades, because as a county it offers so much - beautiful rolling countryside, quaint market towns and villages, superb local services and of late has become more popular with commuters as it has such good transport links and also great value for money property. The Country Life magazine recently named 5 villages in Essex as hot spots for commuters, these included Earls Colne, Terling, Great Waltham, Saffron Walden and Clavering. They stated that Saffron Walden is a ‘handsome market town with lots of specialist shops and medieval streets’ as well as offering a 51 minute commute into London’s Liverpool Street station. Clavering was chosen because of its location, close to Bishop’s Stortford and Saffron Walden for more activity but it also has a lively community, they stated ‘ it has a lively community, including a cricket club, which plays on the picture-perfect green fronting a pavilion that boasts seating from Lord’s cricket ground, it’s also close to Audley end – which offers a 51 commute into London. 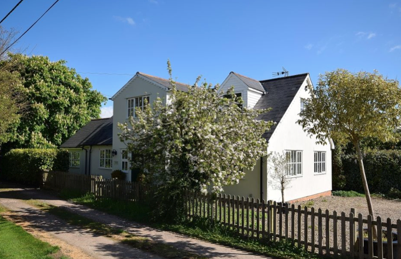 Intercounty Saffron Walden has this beautifully located four bedroom detached country residence situated in an idyllic hamlet of Starlings Green on the outskirts of Clavering village. The village offers a highly regarded Primary school and comprehensive village shop/bakery, being within equal distance of the market town's of Saffron Walden and Bishops Stortford. The main line station nearby at both Audley End and Newport offers a fast link to both London's Liverpool Street and Cambridge. The property offers versatile accommodation and offers huge scope to further extend (subject to planning permission). Comprising Reception room 1, kitchen/family room, living room, study, bedroom 4 with en suite shower room. On the first floor there are three further double bedrooms with an en suite bathroom. Guide price £725,000. The generous plot extends to approximately 3/4 acre and enjoys privacy from all directions. Together with a detached single garage and parking for several vehicles. Viewing is strongly recommended. For more information or to arrange a viewing please follow this link or call Intercounty Saffron Walden on 01799 522641. 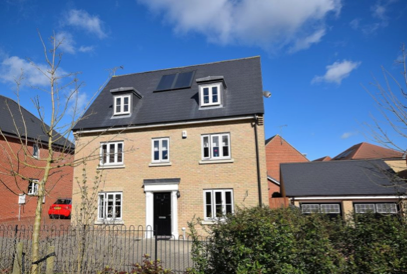 Constructed only five years ago this stunning ex Show Home is not to be missed! Offering well planned, versatile and spacious accommodation throughout, spread over three floors with an alarm system fitted. Delightfully located overlooking the park and benefitting from double glazing and gas central heating. Offering two reception rooms, a kitchen/family room plus utility room on the ground floor. The first floor offers a Master bedroom suite with dressing area with en-suite shower room, additionally there are two further bedrooms and family bathroom. On the second floor there are two further bedrooms and a shower room. The property is beautifully presented and an early inspection is recommended. EPC Band B. Guide Price: £695,000. For more information or to arrange a viewing please follow this link or call Intercounty Saffron Walden on 01799 522641. This is a unique opportunity to purchase a recently re-furbished first floor duplex Grade II listed apartment located within the Old Boys British school in the historic part of Saffron Walden. The apartment enjoys delightful views of the Common to the rear. 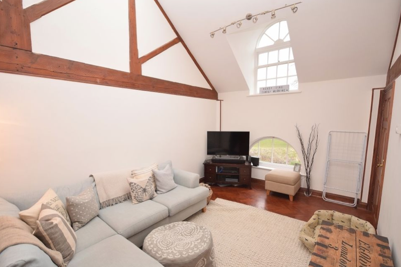 The property has the benefit of allocated parking for two cars, gas fired central heating, a master bedroom on the first floor and two further mezzanine bedrooms on the second floor, re-fitted kitchen, newly fitted bathroom. Offered with vacant possession, key available for viewing. EPC Exempt. Price £442,000.